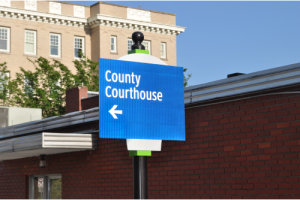 This page attempts to address some of the frequently asked questions that we have been asked about going to court in Pitt County. Some of the responses to these questions may vary if your case is being heard in a different location. Do I have to appear in court on my court date? In many types of traffic or misdemeanor cases, you may not have to appear in court on your court date if you have hired a lawyer to represent you in court. For most traffic related offenses, you may authorize an attorney to appear on your behalf by signing a waiver of appearance. Even in some cases where you are required to appear in court, you may be able to avoid an initial appearance in court if you have an undue hardship due to an employment obligation. 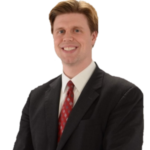 Mr. Entzminger frequently appears in court for clients who have signed a waiver of appearance, and in many cases, is able to resolve those cases without his clients making a physical appearance in court. What if I do have to appear in court on my court date? This is an important question to consider when you are required to appear in court. For most serious offenses, it is probably in a person’s best interest to have an attorney represent them. In many cases, even if the offense is minor, there may be valid reasons why hiring a lawyer makes sense in your case. (Insert Link to Should I hire a lawyer for my traffic ticket) If you have never had a ticket before, (or if you have not had a ticket in a long time,) and you have the available time to spare to go to court, then in many cases, you can handle your case on your own, without the assistance of legal counsel. In many other instances, it may be in your best interest to consult with an attorney regarding the best way to resolve your matter. This may seem like common sense to some people, but a person who is required to make an appearance in court should dress appropriately. At the Law Office of Daniel Hines Entzminger, we advise our clients to dress as if they were attending a special event or a church service. We advise our male clients to always wear long pants and a tie and coat if at all possible. Men should never wear shorts to court. (Some judges will not let you handle your case if you are wearing shorts in the courtroom.) For our female clients, we advise them to wear a dress, skirt, or dressy slacks with a neat-looking shirt. Even though it may not appear to always be the case, judges are human, and they notice the way you are dressed when you make an appearance in court. When you dress properly for court, you show respect for the institution of the judicial system. In most instances, judges and court officials will, in turn, give that respect back to those who show respect for our judicial system. If you have hired an attorney, your lawyer may advise you to bring very specific items with you to court, depending on your particular type of case. Generally speaking, we advise our clients to bring all relevant paperwork related to their case with them to court. For instance, if a client has been asked to complete community service for his or her case, the client should bring the community service completion letter to court. In some cases, there may be witnesses who are critical to proving your case. If you have a witness (or witnesses) who may assist in your defense, that individual will need to appear with you in court when your case will be heard. Many cases have been lost because a witness was unavailable on the date a case was heard. In additional to bringing your relevant paperwork and witnesses with you to court, it is always a good idea to bring money with you for court costs, fines or other fees. While some judges will allow time to pay court costs and fines, other judges will not give time to pay. The best course of action is to be prepared and bring the necessary funds with you to court. Where is the Pitt County Courthouse? 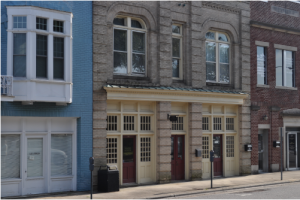 The Pitt County Courthouse is located at the corner of Evans and Third Street, in Uptown Greenville. Click on the map icon for more information on how to locate the Pitt County Courthouse from your location. What is the difference between District and Superior Court? The primary difference between District and Superior Court is the type of cases heard in each of those courts. Most traffic and criminal cases will begin in District Court. Traffic and misdemeanor offenses (along with several types of civil cases) are first heard in District Court before a District Court Judge. A District Court Judge has the authority to hear those matters, and sits in place of a jury. If a Defendant has a trial in District Court, and is unsatisfied with the result, the Defendant has an automatic right to appeal that case to Superior Court and request a brand new trial before a jury. Unlike traffic and misdemeanor offenses, felony cases are generally only heard in Superior Court. While almost all felony matters start in District Court, felony cases cannot be disposed of by a trial in District Court. 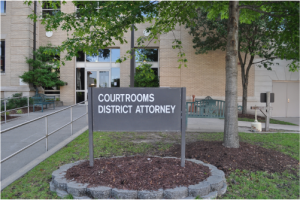 Felony cases in District Court are usually held in a “probable cause court,” while the District Attorney’s Office makes a determination of the appropriate way to dispose of that case. If the District Attorney’s office and the Defense Attorney are able to agree on a reduction of the felony to a misdemeanor offense, the felony may be resolved as a misdemeanor in District Court. If the parties are unable to agree on a reduction of the felony to a lower charge, then generally the felony would remain in District Court until the District Attorney obtains an indictment from the grand jury. An indictment is the primary method by which a felony case is transferred from District to Superior Court. If a defendant desires a trial for a felony case, the first opportunity for that to take place is in Superior Court with a jury. In addition to the differing types of cases that are normally handled in those courts, another difference between District and Superior Courts involve the way that those Courts operate. Superior Court is generally more formal than District Court. In Superior Court, the proceedings are recorded by a court reporter who keeps a record of everything that is said in the courtroom. Normally, in Superior Court the calendar is called at the beginning of the day. If a Defendant fails to answer the calendar call, the judge will issue an Order for Arrest. In District Court, the calendar may or may not be called, depending on which court is being conducted, and the number of cases in that courtroom. 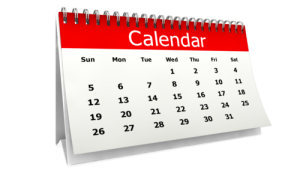 In District Court, a larger calendar may not be called in order to save time and to try to resolve matters in a more efficient manner. 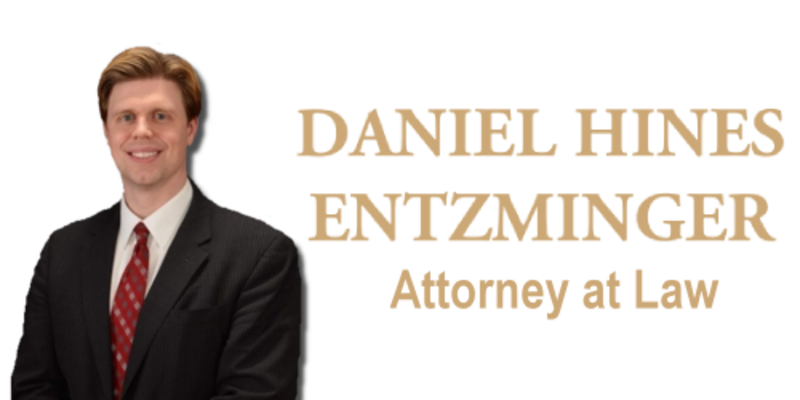 Does the Law Office of Daniel Hines Entzminger offer free consultations? Yes, at the law office of Daniel Hines Entzminger, we provide free initial consultations for traffic and criminal cases. If you need legal representation, please contact our office to schedule your free initial consultation today. I have scheduled an appointment for a free consultation with Mr. Entzminger; what should I bring with me to this appointment? Please bring any relevant materials with you to your consultation. If you have been charged with a traffic offense, please bring a copy of your ticket and your driver’s license with you to your appointment. If you have been charged with a criminal offense, please bring the warrant and all other related legal paperwork, (such as a release order or search warrant). If you have a potential witness who was present when the alleged incident occurred, please bring this individual with you to your appointment as well. By bringing the relevant paperwork and potential witnesses to your consultation, you will allow us to more accurately assess your case and advise you on how you should proceed.